San Francisco State University's College of Ethnic Studies might not have enough money to pay all of its staff come July 1. The College of Ethnic Studies says it's operating with close to a $400,000 deficit. The college is straining to cover the salary of lecturers, tenured faculty, the graduate program and other costs. It has been struggling since the California State University system faced severe budget cuts in its 2009-2010 academic year. American Indian Studies Department Chair Andrew Jolivette says around 50 percent of the course work that the college provides, some of which are required courses for SFSU students, may not be available in the fall. The graduate program is also at risk of closing, and the lecturers that make up 40 percent of the college's staff may lose their jobs. “[The administration] expects us to be fundraising," Jolivette said. "That's for scholarships, not an academic program." SFSU spokesman Jonathan Morales said the college received $5 million for the 2015-16 year. 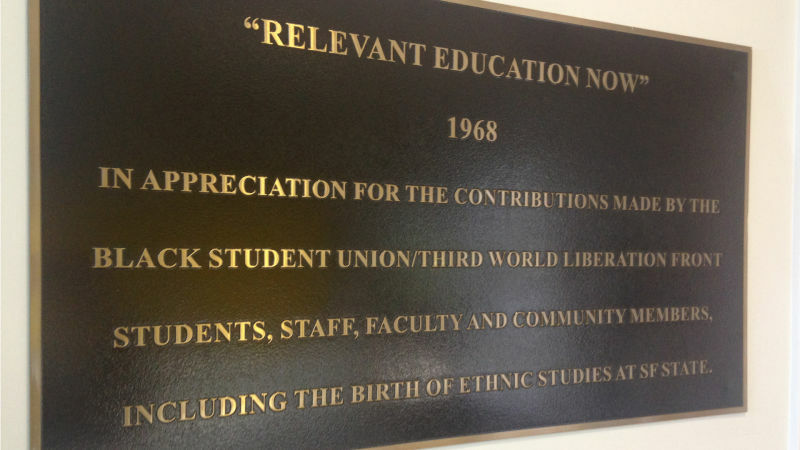 However, Ethnic Studies said it received only a little over $3.6 million. Morales said the university has been supplementing the college's overspending with a reserve fund that is now depleted. 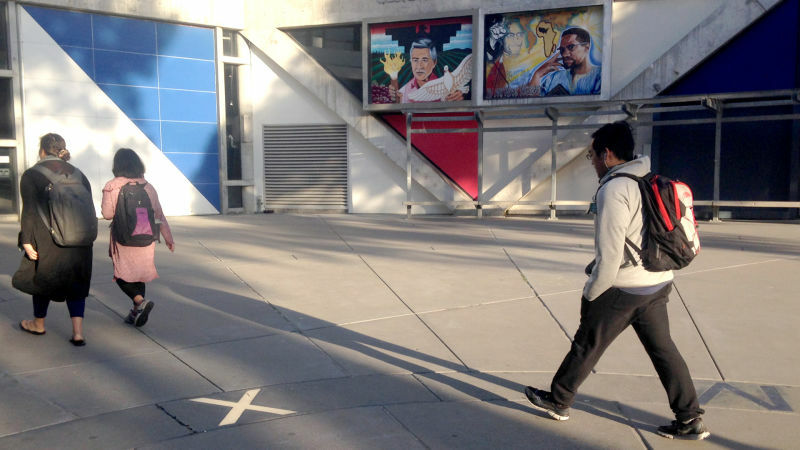 SFSU said it is not technically implementing a budget cut and that the university has not asked a college to take a cut since the 2009-2010 academic year. In 2009, the university made sweeping cuts to colleges across disciplines. It asked each college to cut 10 percent of its budget. The College of Ethnic Studies staff say they took a higher cut that was disproportionate to the rest of the campus. It took an almost 16 percent permanent cut to its budget from more than $4 million to $3.4 million, which is how the deficit started. The college says it's had to overspend to pay for tenured professors and maintain operational costs. "We would have to close the student resource center, the advising center and the Cesar Chavez Institute," said Amy Sueyoshi, associate dean at the college. "We serve the students who are working 20 hours or more a week." Sueyoshi said there used to be more than 60 full-time faculty, and now there are 37. She added that if teachers retire, the college would not be able to replace them. In an email sent to faculty, staff and students, SFSU President Leslie Wong said: "While our 2016-17 budget for the University has not been finalized, we expect this year’s allocation to closely resemble last year’s. "What has changed is how we respond to programs, including colleges, that run annual deficits, as has been the case for Ethnic Studies in recent years. When budget gaps have been discovered in other programs, a strategy was developed that allowed the program to continue while arranging to pay back its debt to the University within a set time frame. In the case of the College of Ethnic Studies, no reimbursement plan has been requested. But the college has been asked to adapt to new budgetary discipline moving forward." Hundreds are expected to show up at a meeting Thursday with Wong and Ethnic Studies faculty, students and supporters. Jolivette said that the administration does not understand the educational service the college provides. "At the meeting, the fact that [Provost Dr. Sue Rosser] called this a bailout," Jolivette said. "I think it was dismissive, and she kind of shrugged her shoulders when she called it a bailout." SFSU's College of Ethnic Studies was the first ethnic studies program in the country when it was created in the wake of a campus strike by the Black Student Union and Third World Liberation Front strike from November 1968 to March 1969. Students demanded a more equitable education and to hire more people of color on the university faculty. It was the longest campus strike in U.S. history, according to the university's website. "The strike is so romanticized that no one's thinking about what is happening right now," said Shannon Deloso, 21, Ethnic Studies representative for SFSU's student government body, Associated Students Inc. "We felt like we're the show ponies for the university, but we're not getting the funding that we need to function." More than 100 students and faculty attended an open meeting on Feb. 18, in solidarity with the historic program, which is the smallest college at the university. Deloso and other students went to Wong's office after the meeting to demand his presence at the College of Ethnic Studies' next meeting on Thursday, Feb. 25. "You don't learn about contributions of your people elsewhere," Deloso said. 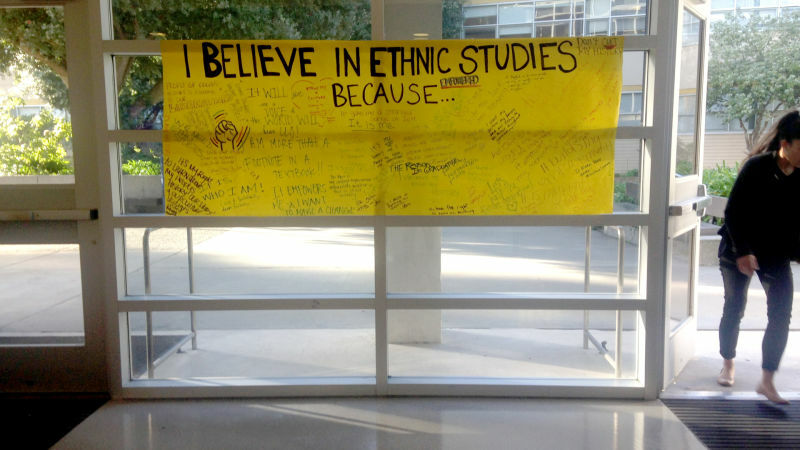 "Being exposed to ethnic studies informs everything I do as a teacher." Deloso teaches ethnic studies at Phillip and Sala Burton High School in the Portola neighborhood. Students who take ethnic studies courses have better attendance records and improve their grade-point average, according to a Stanford study released in January. The study examined ethnic studies pilot programs in San Francisco high schools. Students showed up to class 21 percent more and their grade-point averages increased by an average of 1.4 points. "We're losing our value," Deloso said. "We're trying to show people our stories matter. It's a slap in the face saying we don't really need funding."